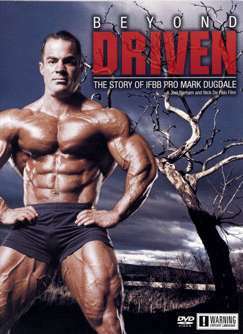 For IFBB Pro bodybuilder Mark Dugdale, ascending the ranks to the highest level of professional bodybuilding demanded a delicate twelve-year balance of family life and the drive for a flawless physique. Join Mark in his quest to qualify for the Super Bowl of bodybuilding, the Mr. Olympia contest, where not only is the level of competition higher but so is the price of perfection. It’s a journey of iron, sweat, and sacrifice – family, faith, and friends that’s beyond bodybuilding. It’s BEYOND DRIVEN.